As public relations campaigns become more sophisticated, they need to adapt to ever-changing digital habits and platforms. Though millions may have tuned into HBO for the finale of “Big Little Lies” this past weekend, millions more were watching it in some other form or on another device. A current forecast says that 74% of all Internet traffic in 2017 will be video. 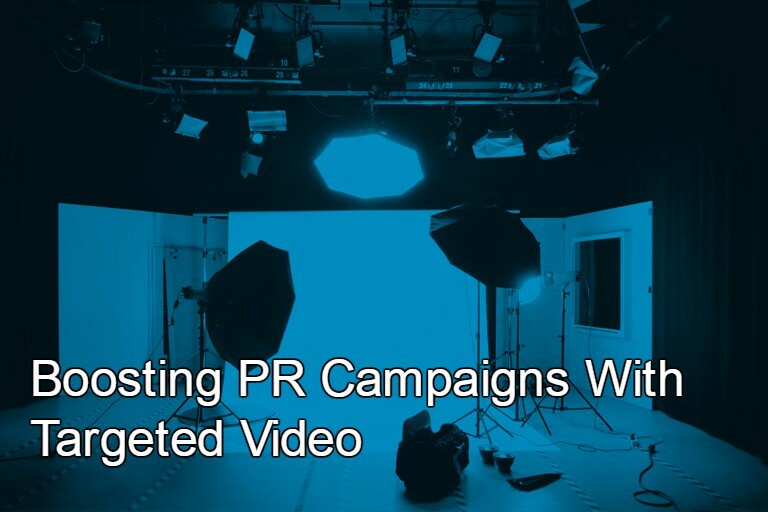 As the passion for video grows, PR plans are expected to include a video component. To ensure that brands have a smart, targeted video voice, here are some ways to think about using video to boost a PR effort. Show, don’t tell: cardinal rule of successful video. Think about techniques like sharing a big announcement with video instead of a traditional press release, complete with background footage, shots of business or manufacturing in action, and talking head shots from one or two persons quoted. Take exciting news to a higher level with video like this one from Vulcan introducing a new video player, created for social sharing. Also to consider: provide a how-to with a colorful demo, or a Q+A. Gather a group of potential customers to ask a company spokesperson questions and answer them in a video. Finally, consider providing a behind-the-scenes look at a product-in-the works which can be livened up by use of animation as well. Video explainers demystify complicated concepts. One of the most effective and simple uses of video in PR is the video explainer. Sixty-five percent of us are visual learners whose eyes glaze over after reading a few wordy or technical sentences. Journalists are assaulted with written PR materials (some good, some very bad) and because of that, may never get to your story. Have your eyes glazed over? With a simple, short video such as this one that we helped produce for a pain device, the concept is easily understood in under two minutes. With video, remember one size does not fit all. RemedyHealthMedia, a leading digital publisher of condition-specific information for patients, discovered through research that different visitors respond to different types of videos. For example, someone recently diagnosed may need a long-form video to thoroughly explain a condition and offer insight from other patients. Others who have lived with a chronic illness may need a quick refresher or update on something specific to their condition – a more “snackable” piece of content would appeal to this audience. The key for PR teams is to research target audiences and learn about preferences as they plan and produce video. The importance of authenticity. The era of fake news and alternative facts makes an authentic voice all the more important to a brand’s video content. Whether it’s the results of a newsworthy survey, a behind-the-scenes look at product development or a cool office tour, the key is to keep the video as real as possible. Use the actual people involved, stay away from anything overly-scripted and even let the warts show if it helps tell a real story. We like this customer testimonial video for Roku. The video also provides some helpful language useful for PR outreach to other media. Use humor where appropriate to get attention in a video. How many times have you heard a co-worker crack up for no apparent reason? Odds are they were viewing a funny video like this one explaining 2017 rule changes for baseball. Humor can be particularly effective when a subject is dry. Brainstorm some of the best forms of humor and add creative topspin that can best tell a product or company story. These include parodies, impersonations, “hidden camera” spoofs, or animation. Important to remember here: the viewing public loves creative twists on the latest relevant topics like this week’s Pepsi commercial fail. Consequently, where we can leverage current topical news appropriately and to a business’s advantage, we recommend acting quickly to strike while the story’s hot. Employ measurement techniques to test for success. Like any marketing initiative, video must be measured for effectiveness in connecting with an audience and, ideally spurring action. Start by reviewing the overall PR objectives – be they increasing awareness, driving attendance, promoting advocacy, etc. and see if a video campaign delivers. KPIs to consider include views, impressions and unique users and how they measure in terms of awareness, consideration and action. Useful tools for gauging video effectiveness include: Brand Lift, YouTube Analytics, and reporting in AdWords. Beyond those, brands can deploy consumer polls on more specific questions through Google Consumer Surveys. Measurement of social sharing is critical as well. 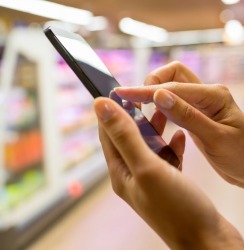 According to Nielsen, 92% of consumers believe recommendations from friends and family over all other forms of communication when making a purchase decision. Finally, in any campaign, action – conversion rate – is the most important business measurement. It’s vital to prove the effectiveness of the video by calculating the number of leads each one generates. To increase that kind of successful outcome, incorporate the steps above into your own unique brand story to help tailor future video output for a product or service.